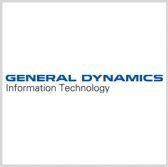 General Dynamics‘ information technology business has received a potential five-year, $47 million to develop combat simulation hardware and software for the U.S. Air Force. The company said Wednesday it will also help the military service build and maintain a supplementary network infrastructure as well as integrate a live, virtual and constructive combat environment into warfighter training. Dan Busby, vice president and general manager at GDIT’s IT services and solutions sector, said the company aims to deliver LVC training platforms to help prepare Air Force units for battlefield missions. The Distributed Mission Operations Center–Infrastructure, Development and Engineering contract contains one base year and four option years. GDIT will perform work under the singe-award contract at Kirtland Air Force Base in Albuquerque, New Mexico.